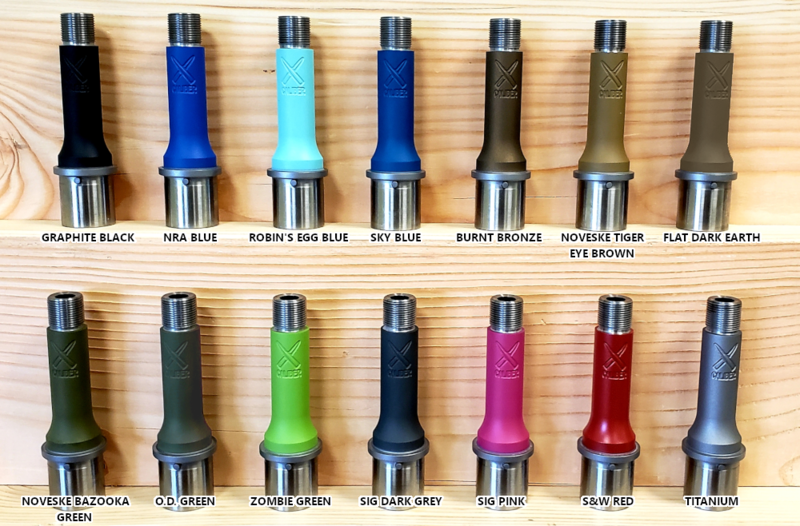 Our top of the line muzzle brake offering the greatest reduction in muzzle rise and recoil. This brake will tame the fiercest recoil enabling your most accurate shots. 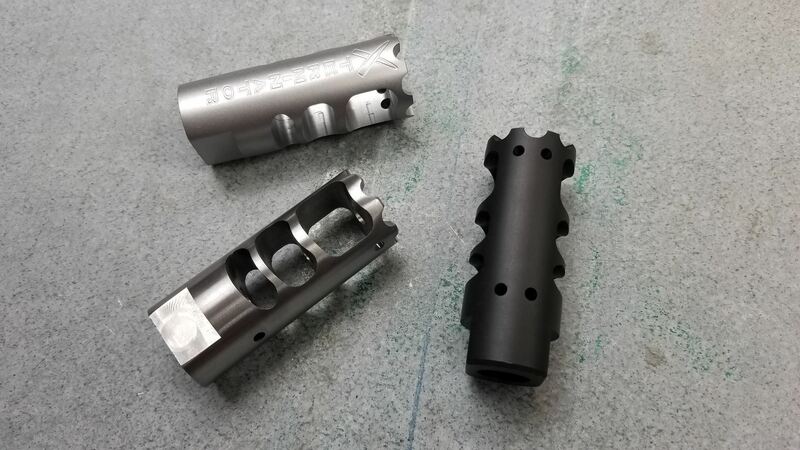 The fluted face of the X-Terminator Muzzle Brake can be used for breaching doors and barbed wire fences. 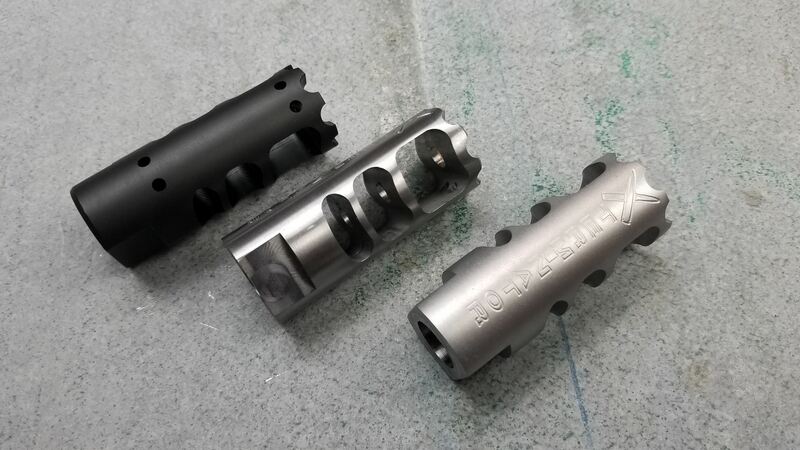 Length: 2 1/2"
Check out the X-Terminator muzzle brake in action!! The video shows a 10" .308 Win AR Pistol with no brake, followed by an A2 Birdcage (which are everywhere), and finally our X-Terminator Muzzle Brake. It blew our expectations out of the water!! Crush Washer recommended (not included). 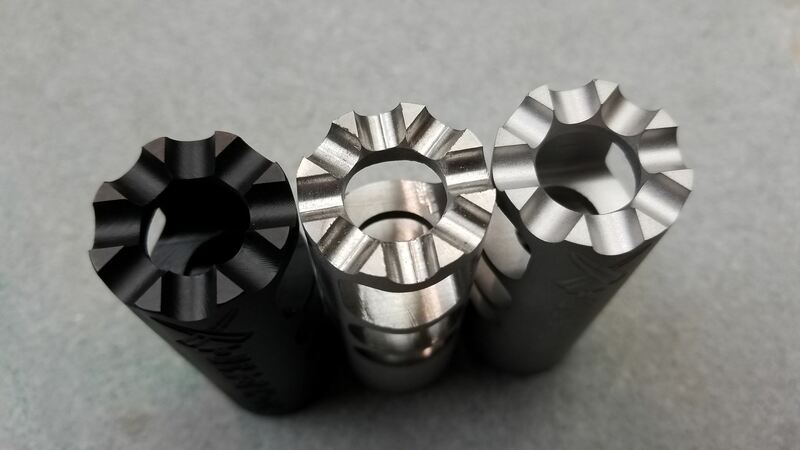 NOTE: Regarding the 3/4"x24 and 49/64"x20 thread patterned X-Terminator Muzzle Brakes; as these two thread sizes on this brake do not have wrench flats for installation like the other thread sizes of X-Terminator Brakes, we recommend installation via a properly-sized strap wrench used around the outside of the brake.